This is the COMPLETE Dave Matthews FanClub Set that was only available to LONGTIME Members of the Dave Matthews Warehouse FanClub. These CDs are long out of print, and most are very RARE. This is complete through Warehouse 10 vol 3. 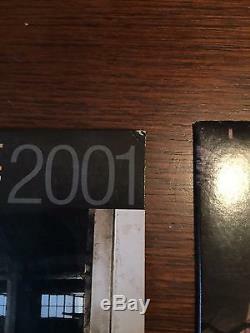 CDs are either Like New and or Brand New Sealed , Cases on two of them show some signs of wear - Early CDs did NOT come sealed. 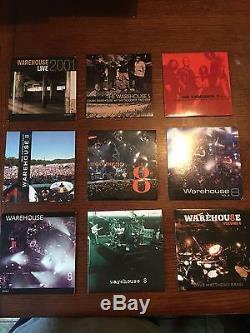 Warehouse Live 2001 - Like New (Case has a slight ding in upper right corner) (RARE). 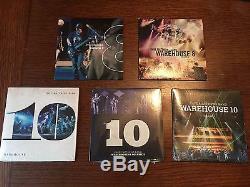 Warehouse 5 vol 1 - Like New (VERY RARE). Warehouse 5 vol 2 - Like New (RARE). Warehouse 8 vol 1 - Like New (RARE). Warehouse 8 vol 2 - Like New (Slight crease on case) (VERY RARE). Warehouse 8 vol 3 - Like New. Warehouse 8 vol 4 - Like New. Warehouse 8 vol 5 - Like New. Warehouse 8 vol 6 - Like New. Warehouse 8 vol 7 - Like New. Warehouse 8 vol 8 - Like New. Warehouse 10 vol 1 - BRAND NEW SEALED. Warehouse 10 vol 2 - BRAND NEW SEALED. Warehouse 10 vol 3 - BRAND NEW SEALED. Please see pictures of the actual CDs you will receive. Please feel free to write with any questions you may have. In Business for over 25yrs. The item "Dave Matthews Band Warehouse Fan Club 8 and 10 Track Complete Set" is in sale since Wednesday, September 2, 2015. This item is in the category "Entertainment Memorabilia\Music Memorabilia\Rock & Pop\Artists D\Dave Matthews Band". The seller is "chitowncards" and is located in Osseo, Minnesota. This item can be shipped worldwide.